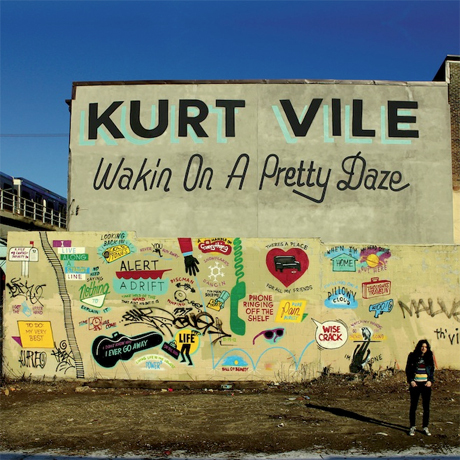 Following a string of killer laid-back folk-psych offerings, Kurt Vile is ready to make his return. His latest effort, the follow-up to 2011's Smoke Ring for My Halo, is Wakin on a Pretty Daze, which drops April 9 through Matador. While we wait for the album to arrive on shelves, you can stream it ahead of time on Exclaim.ca. Although the record includes a relatively modest 11 songs, it's a double album that clocks in at over an hour. This is thanks to a number of epic-length songs, such as the nine-and-a-half-minute opener "Wakin on a Pretty Day" and 10-minutes-plus closer "Goldtone." These songs aren't long because of complex structures or prog-inspired grandeur. Rather, the tracks are easygoing and chilled-out, with guitar-rich heartland rock jams given a druggy dose of reverb and synths. Elsewhere, "Was All Talk" boasts speedy drum programming and twangling arpeggios, and "Too Hard" is a quietly confessional acoustic ballad. Listen to the album below, and be sure to read Exclaim! 's new interview with Vile. Go here to check out the songwriter's spring tour schedule.